Woodview, Main Street, Blanchardstown, Dublin 15, D15 NHN7. 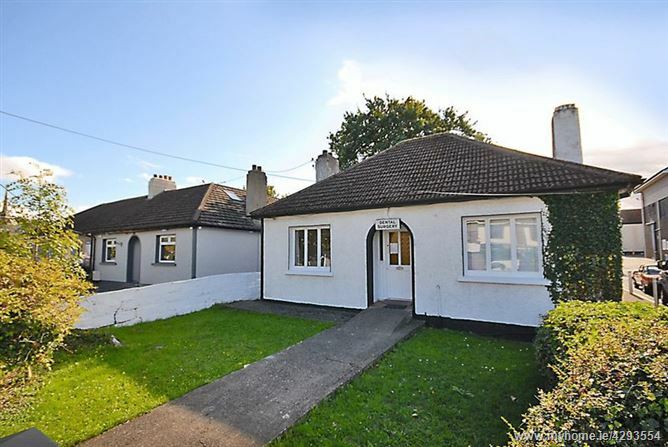 Baxter Real Estate are delighted to present to the market, this detached bungalow located on Main Street, Blanchardstown. Most recently used as a dental surgery, this property extends to approximately 67.5 sq.m./ 727 sq.ft.. The accommodation is briefly comprised of 4 rooms of almost equal size: two to the front of the property and two to the rear. To the rear, there is also a small extension which houses the kitchen area. A w.c. completes the accommodation. This property would be suitable for numerous uses and could revert to residential use, subject to planning permission. It is located close to numerous amenities, such as schools, shops, Blanchardstown Shopping Centre, Connolly Hospital and the National Aquatic Centre. It is also close to the M50 and therefore the national road network and Dublin city centre. It is serviced by a number of buses, and train services are available from Castleknock and Coolmine. Please note that all information, including areas, is given for guidance purposes only. We have not tested any appliances and all parties must undertake their own investigation into the condition of these appliances and to all other information provided. Reception 1 - 11' 6'' x 11' 4'' (3.50m x 3.45m) - Linoleum flooring. Reception 2 - 11' 8'' x 9' 1'' (3.55m x 2.78m) - Carpeted floor. Reception 3 - 11' 7'' x 11' 4'' (3.53m x 3.45m) - Carpeted floor. Reception 4 - 11' 8'' x 11' 7'' (3.56m x 3.52m) - Carpeted floor. Detached bungalow with garden to front and rear. Central location on Blanchardstown Main Street. Within walking distance of Blanchardstown Shopping Centre and beside Supervalu Blanchardstown. Short drive to the N3 and M50 . Suitable for residential use, subject to planing permission. 21 Warrenstown Close, Blanchardstown, Dublin 15, D15 K3T1. 2 Beechfield Green, Clonee, Dublin 15, D15 F951. 103 Annamoe Drive, Cabra, Dublin 7, D07 YKR0. 19 St Mochta's Lawn, Clonsilla, Dublin 15, D15 X440. 12 Luttrellstown Green, Castleknock, Dublin 15, D15 XYY4. 17 Park View, Rathborne, Ashtown, Dublin 15, D15 PF54. Ashdale, Main Street, Blanchardstown, Dublin 15, D15 NY66. 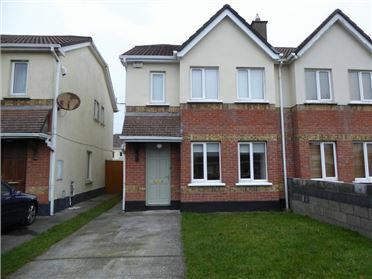 77 Aran Court, Waterville, Blanchardstown, Dublin 15, D15 H590. 8 Woodbrook Park, Castleknock, Dublin 15, D15 F789. 349 Navan Road, Navan Road, Dublin 7, D07 R2C3.